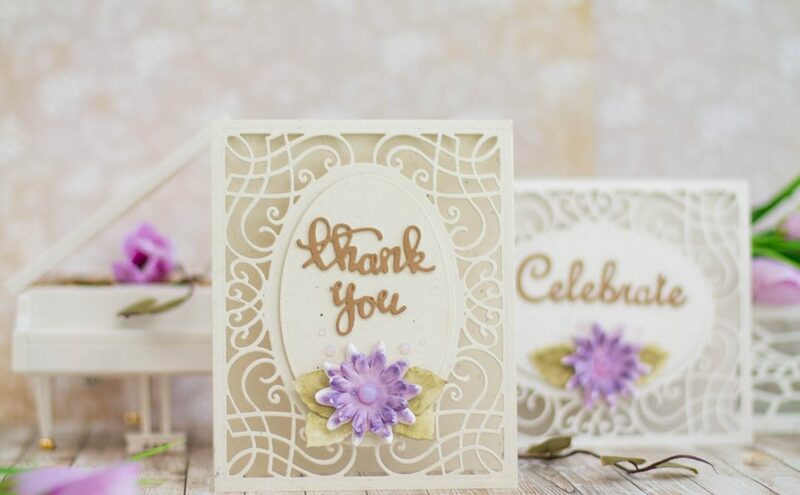 Yvonne here today creating a card using the brand new Magnolia die-templates and showing to how to make your flower look realistic. It’s all about the molding and coloring of the petals and stamens. With spring in the air, it’s the perfect time to brighten up your projects with “real” paper flowers! Trim brown cardstock to size 6¼x6¼” and glue upon card base. 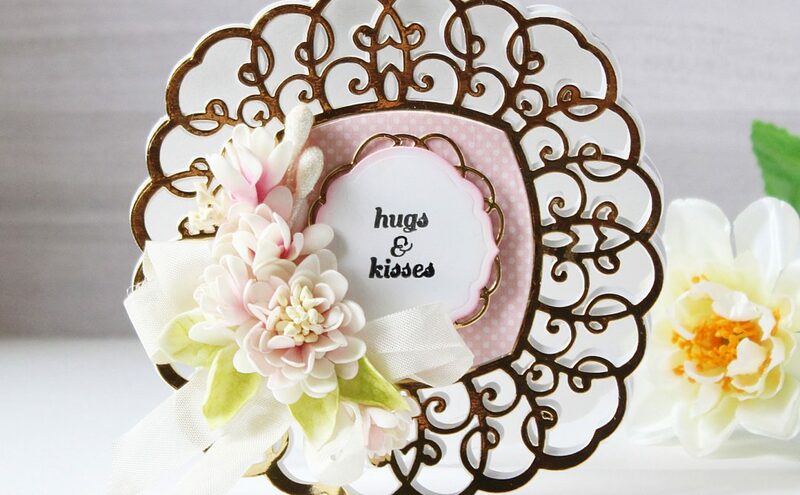 Stack both Lace and Frills and cut/emboss from white cardstock. Use the Stylus with Circle Foam applicator for Tool ‘n One and brown ink to alter the die-cut. Glue die-cut upon card base. Cut/emboss Cherry Blossoms Branch from brown cardstock and glue to the right side of the card base. Cut Sentiments 3 With Love Die from black cardstock and glue to the bottom left of the card base. Cut/emboss Magnolia Large Petals Die (3) twice from white cardstock. Cut/emboss Magnolia Small Petals Die (2) twice from white cardstock. Ink the edges of all the petals at the flower centre side using green ink. Mold all petals using the largest Stylus tip. Tip: use a foam pad for molding. using a quilling tool and fasten using glue. Slightly push the rolled up stamens a bit down so the stamens open up a little. Cut Magnolia Loose Stamens Die one time from brown cardstock and one time from green cardstock. Use tweezer to glue the loose stamens in the white rolled up stamens. Glue to the centre of the flowers. Cut/emboss Magnolia # leaves several times from green cardstock and ink the edges of the die-cuts using green ink. Mold the leaves. 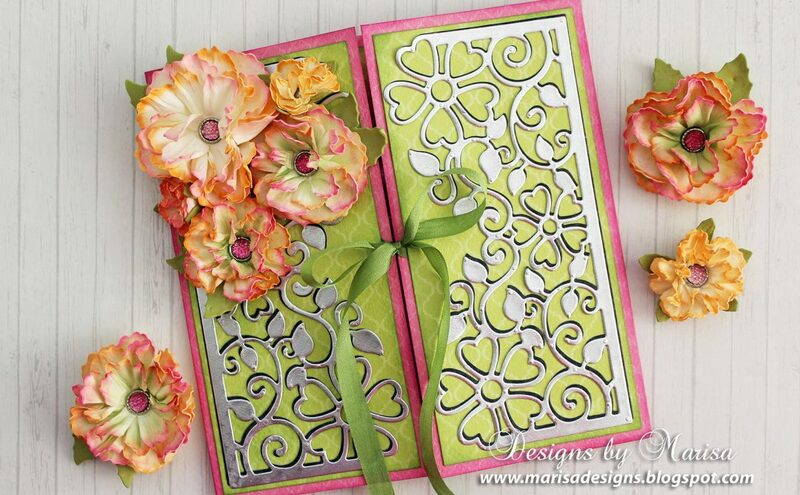 Glue the flowers and leaves to the card base. Finish the card with some gold colored stamens.